There are large number of churches in Bermuda. In fact, number of Bermuda churches per capita is one of the highest in the world. You can't probably walk for more than 500 meters in the island without a sight of a church or a place of worship. Some say that from any place in Bermuda, if you close your eyes and throw a stone in any direction, you will probably hear the sound of shattering stained glasses. There are great many Anglican, Catholic and Protestant Churches (Baptist, Methodist etc.) as well as those offering non-denominational services. While Catholic and Anglican churches are dominant, Methodism in Bermuda took its first roots in 1748 when the Methodist preacher George Whitefield visited the island. However Methodism picked up momentum after the Methodist preacher John Stephenson arrived in Bermuda in 1799. He was later jailed on the reasoning that he did not have the required permission to preach. However that did not deter Stephenson and he continued to preach the Gospel through the bars of his cell to all blacks who gathered outside. There are some churches that are historic and significant from tourism perspective. If you are a tourist, here are some of the best churches to visit in Bermuda, many of them are of great historic significance. St Peter’s Church: Believed to be the oldest Anglican church in the Western hemisphere this church is stunning in its simplicity with its rough-hewn pillars, exposed cedar beams and candlelit chandeliers. The church is located at St George. There are separate graveyards in the church premises for blacks and whites. Cathedral Of The Most Holy Trinity: This Anglican church (also known as Bermuda Cathedral) was designed based on neo Gothic architecture. It's located in the capital city of Hamilton. From the top of its tower, you get a spectacular view of Hamilton city and surrounding parishes. St. Anne's Church: Located in Southampton Parish, this Anglican church is one of the oldest parish churches in Bermuda. It was originally built in early 1600s by the first settlers and later replaced by a new church in 1717. Holy Trinity Church: Located in Hamilton Parish overlooking the Harrington Sound water area, this Anglican Church is one of the oldest churches in western hemisphere. Some parts of the building like the nave dates back to 1660-1670. Earlier, it was known as the Hamilton Parish Church. There is a graveyard and also gardens with roses and palm trees. Heydon Trust Chapel: This is the smallest church in Bermuda which was built in early 1600s. The nondenominational chapel is located in Sandys parish amidst lush greenery that stretches across over 44 acres of parkland area. Cobbs Hill Methodist Church: Located at Warwick parish, this is the oldest Methodist building in Bermuda that still exists. It was built by the free blacks and the slaves in 1827 to have a place of worship of their own. They worked mostly during their free time at night to complete the construction. The church is part of the African Diaspora Heritage Trail of Bermuda that captures the legacy of slavery in the island. St James Church: One of the most beautiful Anglican churches in Bermuda with an oceanic settings, it is located on Somerset road of Sandy's Parish Bermuda. Unfinished Church Bermuda: Although the work was started in 1870s, due to parish infighting and lack of funds, the construction of this church was never completed. St. Mark's Church: St. Mark's Anglican Church located in Smiths Parish is a great example of Gothic designs. The cornerstone of the church was laid in 1847. Old Devonshire Church: The Church located in Devonshire Bermuda is popular for candlelit weddings. The church was first constructed in 1624 and had to be restored several times. St. Paul's Church: Located in Paget Bermuda, this is an Anglican church built in 1796 and replaced another church. It has a graveyard. St. John's Church: Built in 1620s, this Anglican church in Bermuda is one of the oldest parish churches in the island. It's located just outside of Hamilton City in a picturesque setting with its own graveyard. St. Theresa's Cathedral: This Catholic church located in Hamilton City was built in 1932 to replace a smaller church and now boasts of the largest weekly attendance in the island. This is the oldest Presbyterian churches in western hemisphere and dates back to 1719. In 2001, it became part of Church of Scotland. Sunday morning services are at 8am and 11am. This beautiful church with its large graveyard is located on Middle Road opposite to Belmont Hills Golf Course, Warwick. Located off Middle Road, this is one of the old and historic Anglican churches in the parish. It has its own nice graveyard. The cemetery has one Commonwealth burial from World War-I and one from second World War. 2, St. Mary's Road, Warwick. Phone: (441) 236-2304. Bus route #8 (operates between Hamilton and Dockyard). Here are the locations and phone numbers of Kingdom Halls in Bermuda for Jehovah's Witnesses. If you are coming by a cruise ship and docking at the Kings Wharf Dockyard in Sandys, then Somerset would be closest by bus. You can also reach Hamilton City easily by ferry which takes about 20 minutes. St. Michael's Church in Paget. 51 South Shore Road in Paget West. Emmanuel Methodist Church: Located at 1 Cedar Hurst Place, Southampton. Phone: (441) 238-1945; Email: [email protected]; Sunday service at 10am. Wesley Methodist Church: 41 Church Street, Hamilton City. Ebenezer Methodist Church: 7 York Street, St. George’s. Sunday School 11am; Sunday Service at 11am. Contemporary Worship Service every first and third Saturday of every month at 7pm. Prayer Night every Friday at 7pm. Cobbs Hill Methodist Church: The oldest Methodist church in Bermuda built by blacks & slaves under moonlight. Hello, I love reading about the many different churches and a bit of their history. Thank you for sharing! I'm interested to know if the Church of Jesus Christ of Latter Day Saints have any presence on the island. I would love to attend meetings there on my planned vacation there. Appreciate any help you could give me. Thank you! Hi, yes there is a church of Jesus Christ of Latter-Day Saints in Bermuda. It is located on Wilkinson Avenue in Hamilton parish and right next to Crystal Caves entrance (15 Wilkinson Avenue, Hamilton Parish. Phone: 441 293 8597). You can reach by bus #1 or #3 from Hamilton City or St. George (will take about 30 minutes from either location) and get off at at Crystal Caves bus stop. It's a small church ... a pink building with white limestone gabled roof, and the entrance is right on the road. You can see the church from the road itself. Sacrament Meeting is at 10:30am, Priesthood relief Society at 12:40pm and Sunday School at 11:50am. Visitors are welcome. Hi, The Catholic church closest to Kings Wharf (dockyard) is St. Joseph's Church (43 Main Road, Somerset, Sandys, Bermuda. Phone: 441/234-2321). You can take bus #7 or #8 from the dockyard and get close to the church in few minutes. Sunday mass is at 9:30am, so you won't be able to join that on your day of arrival. Another option is to take a ferry from the dockyard ferry dock and reach Hamilton (20 minutes) and then walk down to St Theresa's Cathedral which is also a Catholic church (13 Elliot Street, Hamilton, Bermuda. Phone: 441/292-0607). From Hamilton Ferry Terminal, it takes about 10-12 minutes walk to the church. Sunday mass times are 8:30am, 10am (Portuguese), 11:30am (youth mass), and 6pm. Saturday at 6:30pm. Daily masses are at 7am (Tuesday - Friday). Years ago we found a small Scottish(?) church in Bermuda, at least the minister spoke with a very heavy Scottish accent. It was a short scooter ride from Astwood Cove, if that helps at all. We would love to try to find the church again when we return in Sept. My husband is not 80 and after more than 20+ visits to this lovely island I think this may be our last visit to Bermuda, and I want to try to fill our 9 days with as many good memories as possible. I was happy to read that Crystal Caves is open once again. Thank you for any help you can offer. Hi, It should be the Christ Church in Warwick parish which is a congregation of the Presbyterian church of Scotland. Astwood cove is located nearby in the same parish. Address: #96 Middle Road, Warwick (on bus route #8 that runs between dockyard and Hamilton). The church is located across Bellmont Hills Golf Course. They arrange for a return transport after the 11am service. 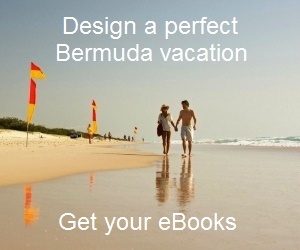 I am planning a trip to Bermuda. Is there a Unitarian Universalist Church? Or anything similar? Warm regards. Hi, Unfortunately there is no Unitarian Universalist church in Bermuda, at least none to my knowledge. Hi, I can't find any information on catholic church in Warwick. I have details of St. Theresa's Cathedral in Hamilton city. I will be staying in Warwick and would like a church within walking or short bus ride. Thank you. Just for your information... This is now the oldest existing Catholic church in Bermuda. The Crawley family donated land, material and money in 1928 to build this small Gothic church. The later structural additions haven't followed the gothic designs though.